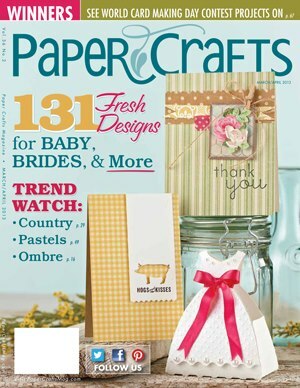 Thank you for stopping by to read my little piece of love for Paper Crafts and Scrapbooking Magazine. You should have arrived here from DONNA BOWMAN'S blog. I had been submitting to PC Mag for at least a year with no luck. I remember the moment I saw that acceptance email from Susan Opel (I still have the email. I also printed it and scrapbooked it). The email came right at the time I was getting off work. I opened it sitting my car before I started driving home. My acceptance has finally come!!! I was screaming in my car, I called my husband, I called my parents, I texted my best friends Katie and John... that night we celebrated over champagne. It was truly an amazing feeling I will never ever forget. Once the magazine came out I made every single family member and friend buy a copy, and made sure they knew I was on Page 46!! I brought the magazine to work to squeal with everybody I could. I mean HELLO, MY NAME WAS IN A MAGAZINE! So thank you thank you THANK YOU Paper Crafts and Susan Opel for making me a very very very happy crafter. Truly. Between March 2013 and December 2014 I am proud to have had 23 cards printed in the pages of Paper Crafts and Scrapbooking Magazine. It was such an honor to be printed next to some of the most talented paper crafters in the industry. Today I really wanted to share two cards that I was the most proud of. Unfortunately, they are scheduled to appear in the March 2015 issue, which will not be published. Somehow it seems fitting that my first ever publication was a 'welcome baby' animal card, and my last acceptance is this 'hello baby' bunny card. The category was Storybook Baby, and the scene I created was inspired by Peter Rabbit in Mr. McGregor's garden. The category for this card was paper piecing, which is my favorite way to color stamped images! Everything on the card has been cut by hand and pieced. 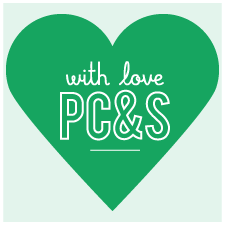 It's fitting for this post... PC Mag, you are showered with love! Thank you for the inspiration, for the memories, for the challenges, for the encouragement, for the love, and most importantly for the community you have created! I am so grateful for all the amazing women I have met! YOUR NEXT STOP ALONG THE HOP IS ELLEN HUTSON! Such awesome cards Rachel...love your post. What adorable cards!!! And your post is so sweet! Love! Ooh, those are super cute cards!! I never knew you were such a good baby card maker. Love the bunnies!! These are just beautiful cards so sweet. Very sweet cards,. CONGRATULATIONS on the publications. Rachel, these are the sweetest cards. Congratulations. And thanks for sharing the story of your journey. Such adorable cards!!! Lovely tribute to PC&S!! Rachel, these cards are so awesome! 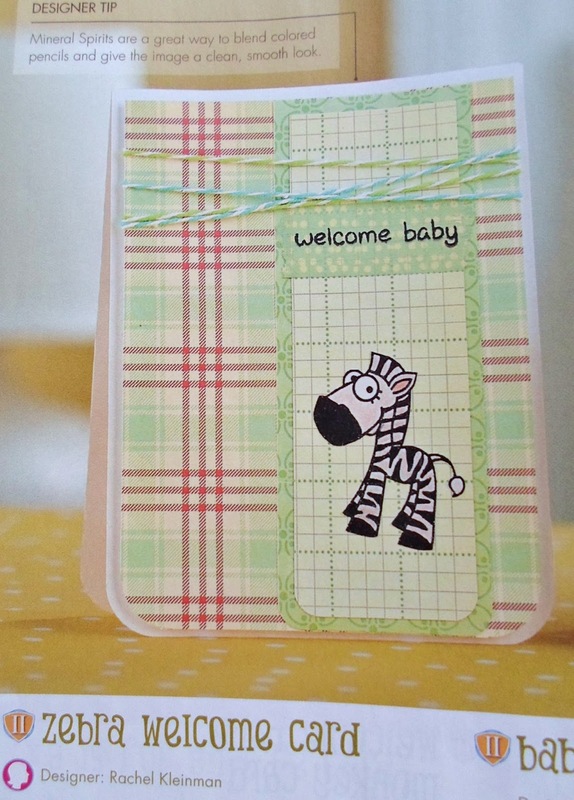 I especially love the Hello Baby card. So sweet & adorable. Your cards are so adorable! I love them!